An independent game studio creating addictive gaming experiences with cats and rockets. oh, and hamburgers. Not much to see right now. 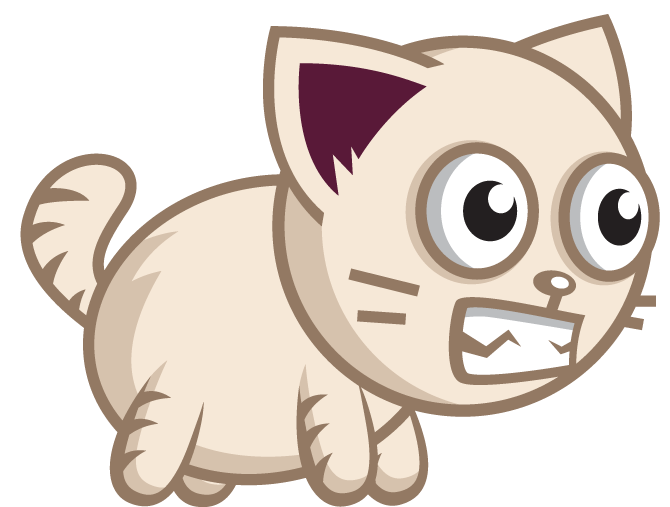 Here is the main character for our upcoming game, Super Rocket Cat Deluxe. Title pending forever, until we actually do a release. As we are currently too poor and not persuasive enough to find a designer willing to work for free, most of the game's assets are purchased cheaply online, or are available from opengameart.org. Just a very slight upgrade from programmer art and, to be honest, not that bad. We suspect the site will be in an eternal state of flux as well. Meh. Thanks for stopping by! how does a cat hold a weapon? 2015 hambaagu.io. powered by games and such.